The ninth holes moves from left to right in almost the opposite movement to the previous hole. 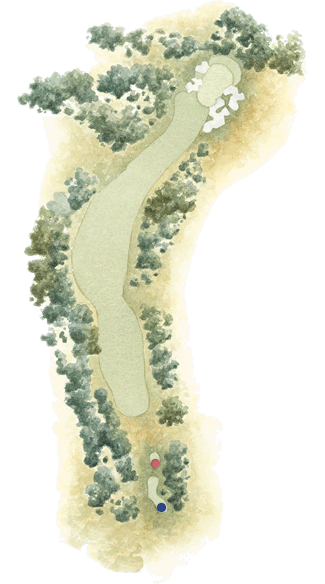 The danger of the tee is pulling it left and running through the fairway into an unplayable lie in the trees. The tee shot is all about positioning the ball on the fairway as length is not a great advantage here.